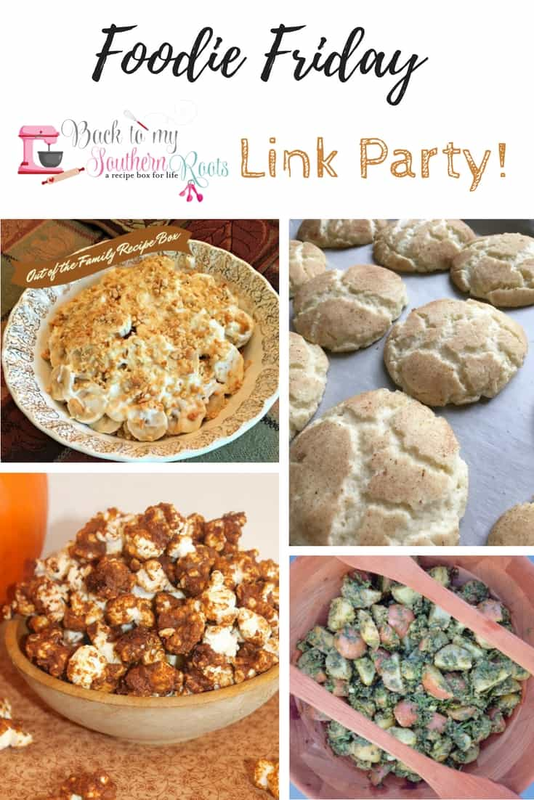 We have some great recipes this week for Foodie Friday Link Party #7! I’m glad you’re back. Some of the recipes are turning a little more toward Fall, and I am so glad, since this is my second favorite season, after winter. If you love full-flavored foods, you’ll love these recipes. I’ll take just about anything pumpkin flavored. 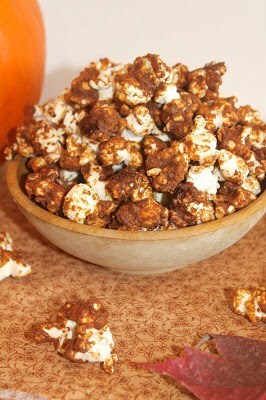 But, pumpkin, caramel, and popcorn – oh yum! I am all about quick and easy. 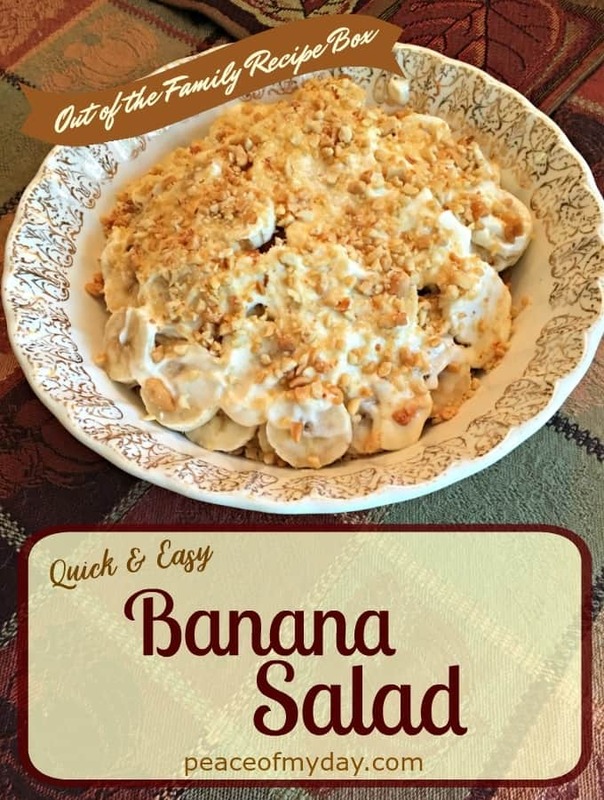 Everyone loves bananas around my house, so this will make a great addition to my recipe book! 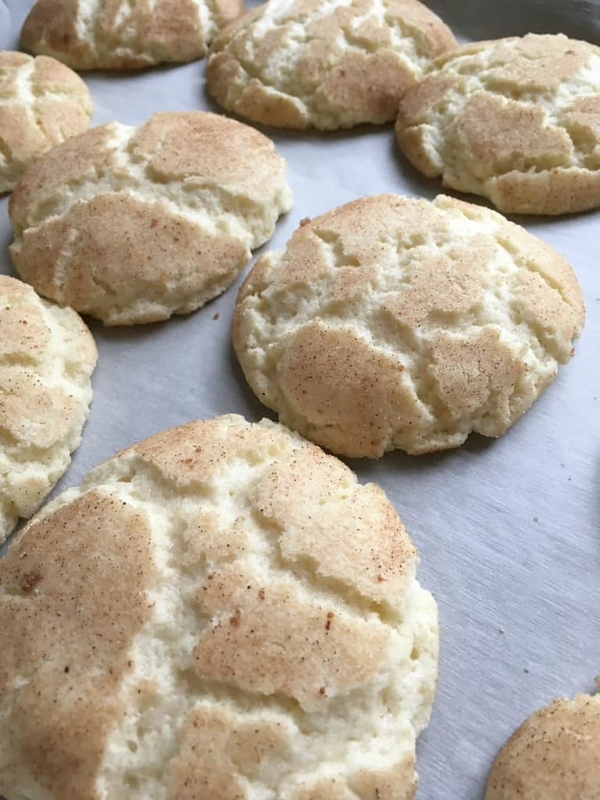 I can still remember the first time I ate a Snickerdoodle. I was in heaven. I love the way these cookies look after they bake. I wish I could reach into the screen and just grab one. I am a pesto piggy. I will take pesto on just about anything, so I am always on the lookout for pesto recipes. 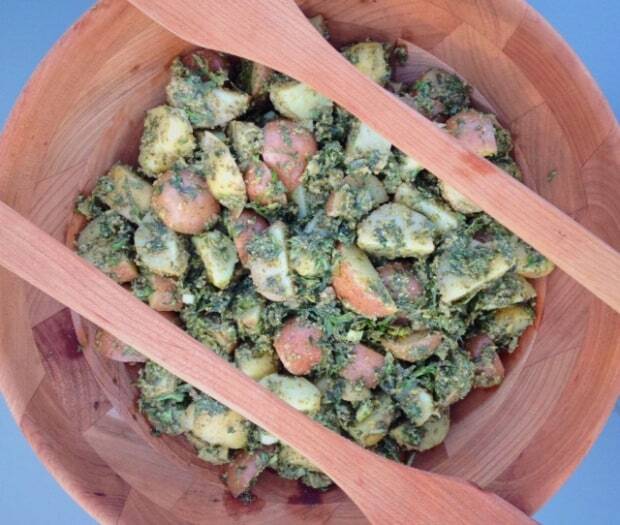 You can give me potatoes covered in pesto any day! Thanks so much for featuring my popcorn!! Sure! I love the combination of flavors! Yum!! Thank you for hosting this lovely party. There is always so many links to see here. Have a wonderful week. Hi Marilyn, You’re welcome! Thanks so much for coming by. You have a wonderful week, too!